Metamorphosis… It’s not just for caterpillars and butterflies … It’s for Christians too! 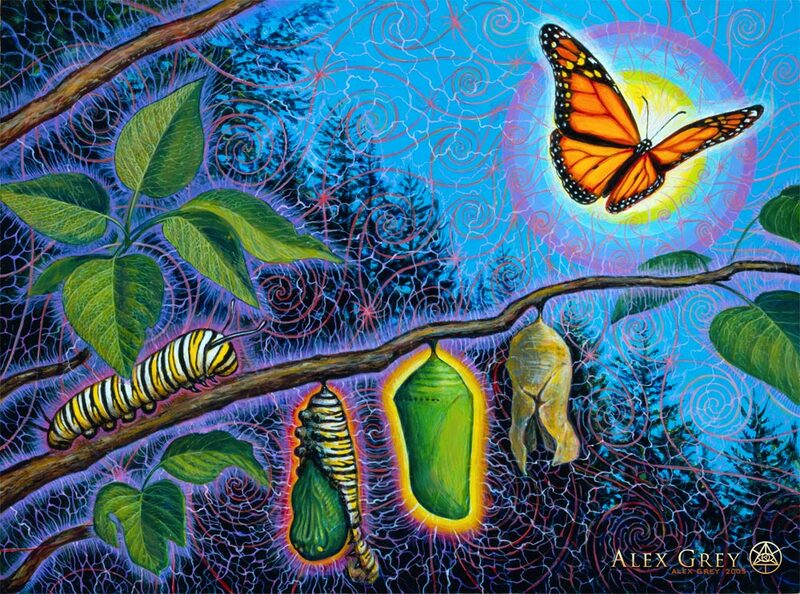 Metamorphosis … the miracle of transformation that takes place when a caterpillar goes through a process (a metamorphosis) and becomes a beautiful butterfly (see the pic). We, with unveiled face, beholding the glory of the Lord, are being transformed (the Greek word is interestingly enough METAMORPHOO/METAMORPHOUMETHA – transliterated) into the same image (Christ’s likeness) from one degree of glory to another. This comes from the Lord who is the Spirit (a transformation worked from within us by the Holy Spirit). Wow! I’d say that miracle eclipses the wonder of what even happens when a caterpillar becomes a butterfly! In this case sinners become saints – Christ-rejecters become Christlike! It doesn’t happen all at once – just like the metamorphosis of the butterfly, it’s a process. Becoming Christlike isn’t necessarily easy either – there’s some pain and transforming pressure that takes place. It’s an inside – out thing… death to self – alive to Christ! Now we’re in process… we’re becoming! But one day we shall be like Him! Praise the Lord! How did the old worship song put it? The love of God shown to the world. For He’s changing, changing me! From earthly things to the heavenly!